Giving in your effort to get a firm grip on the large number of apps found in iOS app store can be confusing at its best. If you’ve recently got your iPhone 6, you must be wondering about how you could install some of the most required apps which can make life easier for you without consuming too much of your phone memory. With iPhones, there are hosts of other awesome but not-so-useful apps which float around and it is up to you whether or not you will get them installed. 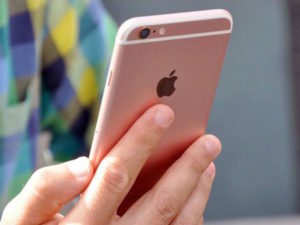 Here Is A List Of Necessary iPhone 6 App That You Should Install In Your Smartphone. Google Translate: When you own an Apple iPhone, the translate app from Google has got some really good functionality, thanks to the brand new update of this app. You can now translate text and speech in most of the languages and the app will also listen for a response to translate that back to the language of the host. It can even scan foreign language and translate the entire thing back to you. Workflow: This is an ingenious app which permits you to quickly automate many of your actions within your iPhone 6. For instance, if you wish to click a picture of someone and share it on Twitter, you can create a process in this app, Workflow and it will be done automatically. You can save the action to the iOS share sheet. Popkey: There are times when a meme says it all and this is when Popkey comes in. Popkey combines all your message apps and allows you to send memes from an upgraded database of memes. When you start using it everyday, you will gradually start wondering how you could live without it. Swiftkey: This has become a definitive third party keyboard app which is both popular on Android and iOS. There is also a valid and good reason behind its popularity. Swiftkey is capable of doing all sorts of keyboard things perfectly well. From memorising the style of speech you use to text prediction to uploading your style of writing, it can do everything. Swiftkey is an indeed capable and apt app for your nee iPhone 6. So if you’re eager to fill up your new iPhone with some iPhone 6 app, make sure you get any or all of them downloaded and installed to make life easier. Checkout iphone7 related information here.